SHARA EVENTI D’ARTE is open to anyone who shares the principles of culture, art and entertainment. All those who recognize themselves in the group can be part of it Bylaws and intend to collaborate to achieve the objectives mentioned. All members will have the right to participate in the life of the Association and must present request to the Board of Directors that will have the right to accept or reject it without obligation make the motivation known, according to the criteria dictated by the internal regulations. In case of acceptance, a card will be given to the member, together with the Statute, of the declaration of acceptance of the Statute, of the resolutions of the Corporate Bodies and of a possible internal regulation. Membership of the Association is free and voluntary, but commits members to the compliance with the decisions made by its corporate bodies, according to statutory powers. Invited to a correct behavior both in internal relations with other partners and with third parties. Shara Eventi d’Arte is looking for motivated, brilliant collaborators and art lovers, events, music and entertainment, interested in undertaking a professional career in the field organization of cultural events. The brand or the name of the Sponsor follows all the events, is reproduced in the posters, in the invitations, in programs, in catalogs. Finally, the Sponsor can be present with its own products, printed and other forms, subject to agreement with the Association. We seek artistic collaborations with professional musicians and / or bands and / or artistic projects of all genres, excluding cover bands and tribute bands. Anyone interested can contact us __ here __. our MECENATI of CULTURE who support us. to Fondazione Umberto Porfiri Onlus . to Father Joe Orlandi for the support of the event LA DANZA DELL’AMICIZIA . 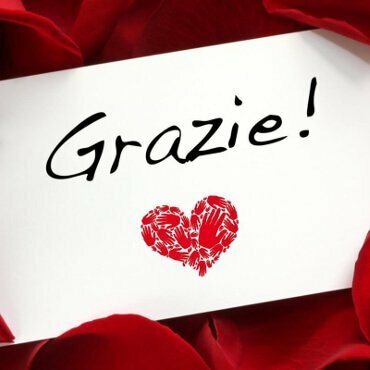 to Bob Padula for the support of the event LA DANZA DELL’AMICIZIA . to Sal Valente for the support of the event LA DANZA DELL’AMICIZIA . to te if you support us.